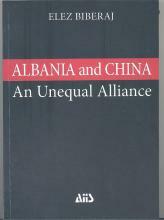 Elez Biberaj offers his views on the Albania-China relations during their “golden era” (1962-1978). For seventeen years Albania used this alliance as a strategy to pursue and secure its national objectives. This interaction, examined here from the Albanian viewpoint, was made all the more unique by a basic incongruity of interests, a great geographical distance, profound historical and cultural differences and significant disparities in economic and military capabilities.